We’d love your help. Let us know what’s wrong with this preview of Chasing Tara by Suzanne Cass. He took a bullet meant for her in the ultimate act of love. Tara Hunter loves her job as an undercover cop and she and her partner, David Cooper make an awesome team. But Cooper is falling in love with Tara, in an illicit attraction. While undercover at an auction of priceless diamond jewellery, Cooper finds he cannot escape his feelings any longer and declares his love fo He took a bullet meant for her in the ultimate act of love. While undercover at an auction of priceless diamond jewellery, Cooper finds he cannot escape his feelings any longer and declares his love for Tara—just as the auction is hit by a gang of jewellery thieves. One of the thugs’ line Tara up in his sights and pulls the trigger. Cooper does the only thing possible. He dives in front of Tara to save her life. At the hospital, waiting to find out if he’ll live or die, Tara asks herself, would she be prepared to do the same thing to save his life? The problem is, she doesn’t have the answer. To ask other readers questions about Chasing Tara, please sign up. This novella was a very enjoyable read. Suspensful and engaging, I found Tara and Coop brilliant characters and enjoyed the police setting. 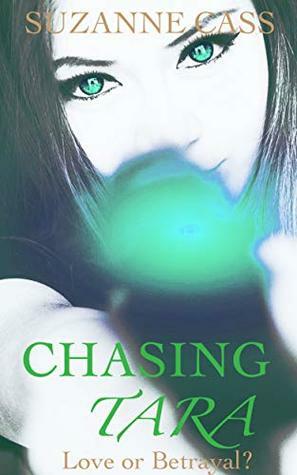 Fast-paced and well-written, I enjoyed it so much I'll look forward to reading Chasing Bullets next to see what other adventures Tara and Coop have and what's in store for their romance. So much emotion and action has been packed into this novella! It's a page turning romantic read and thoroughly recommended.